Sometimes the best inspiration is one’s own past work. I had to get over the feeling that it’s cheating, because a good idea is worth further exploration. It’s really exciting for me when I think of different ways to use an idea. I’ll explain what I mean with examples. I designed Flower Child (upper left) a few years back. It was the cover of Norah Gaughan vol 4. While the idea of using a curved ogee shaped cable was itself a variation of something I’d done before, this was the first time I added ribs and bobbles to help along the illusion of a flower. After Flower Child, I found this motif becoming part of my designing vocabulary. I used a wider variation in a throw from Comfort Knitting & Crochet: Afghans and again in a hat for Vogue Knitting. This fall I used the motif from Flower Child in the yoke of Lowry (upper right). 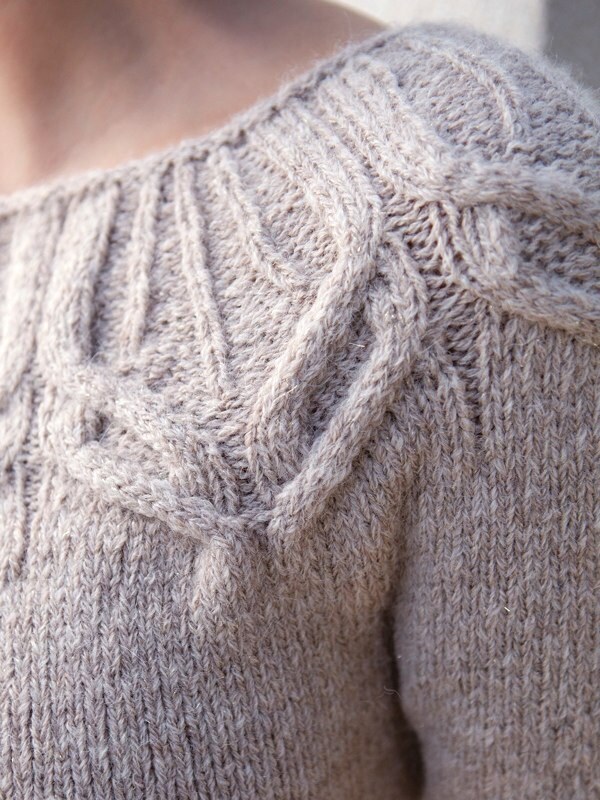 In the same booklet, I found myself dropping the bobbles and doubling the cable line to make the yoke of Forster (bottom right). I used an expanded version of the same chart for my Dickson skirt (lower left). Sometimes the theme to be varied has nothing to do with motif and is all about the construction. Aeneas (on the left) is constructed with triangles for the fronts– a variation on all the work I’ve done with polygons. 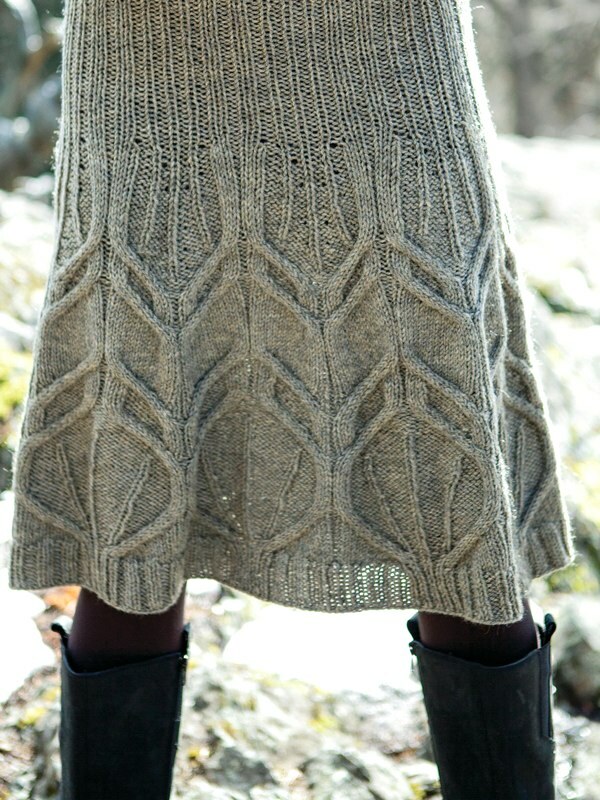 All the pieces are seamed together after you’ve knit them. For Hume, I decided to use the same shapes, with minimal decoration and turn the whole thing upside down by working seamlessly from the top down. I doubt I would have thought of using the triangular shaping in Hume, if Aeneas hadn’t come first. I’ve been asked if I am ever afraid of running out of ideas. Sure, sometimes I feel kind of stressed out and find myself at an artistic low point, but with just a little break I am usually back at it. The fact that I can build on my own past thought process makes the number of possible ideas seem limitless and that makes me happy. I’m guessing it’s who you read in college. Not an answer, just “I LOVE it”! All are names of science fiction authors. Yes – many of whom I met as a child. My dad illustrated science fiction and I was lucky enough to meet many authors at science fiction conventions and even at our house and theirs. I know! I have some pretty cool autographs – like Issac Asimov’s…and I can honestly say that he introduced me to Rose’s lime juice (good for making a cocktail for a 10 year old girl). So awesome Norah , I thought as much, great sci-finished authors. I just love all the looks, I am building up my skill tree enough to try one of your fantastic designs. You can do it! (Remember you LYS is a great resource for help). I didn’t recognize them all, but some (Pohl, Gibson and Niven) were dead giveaways. And then there was Verne! I love Sci-Fi… I have read it since a child, when the things we take for granted now (space flight, personal computers) were just pipe dreams then.. I just found your beautiful shawl. But it is in chart form. I cannot seem to figure out charts. Do you have written instructions. 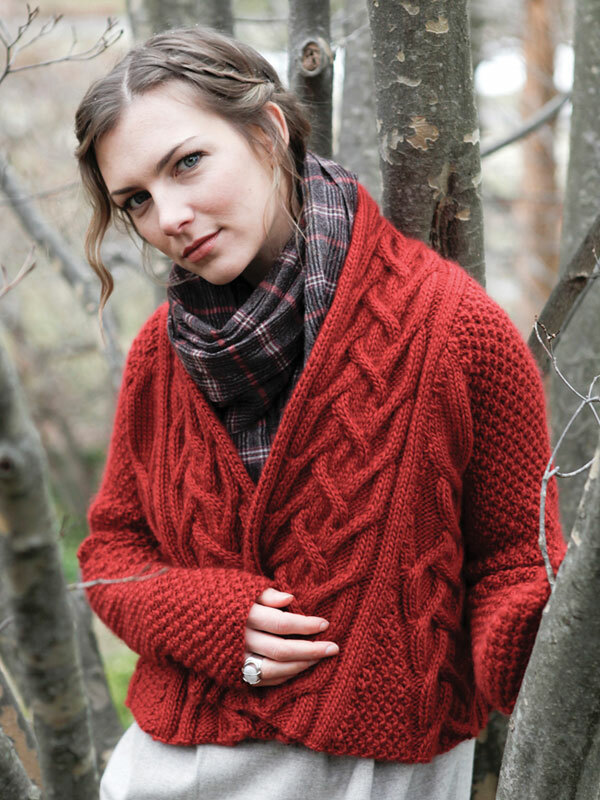 I know that’s a lot to ask but this shawl is the perfect one that I have been looking for. It is made with Berrocco Inca Gold. I am hoping you can help me. Thanks Jodi. Whoa, Norah. Asimov made you a cocktail. Color me green! PS. Thanks for the past work tip. Perfect timing. Awesome! How cool is that! So jealous…and can’t wait to tackle the new designs! I so love that grey skirt. I love to read ….. think that is marvelous you have these autographs. Cool! Five months late to the party, but yes, I recognized them all as writers of science fiction. Love it!